During the worst economic climate since the Great Depression, the Arkansas business community, led by the state Chamber of Commerce, regional economic development groups, and business leaders from across the state, sought to pass two constitutional amendments to create economic opportunities and jobs. 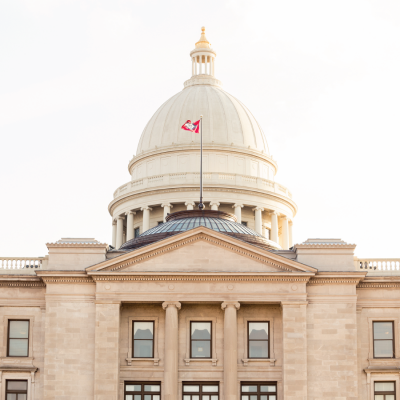 While undoubtedly good for Arkansas’ development, the amendments’ passage were no sure thing, facing skeptical voters in a difficult political climate. inVeritas not only conducted insightful and accurate polling and focus groups, but branded the campaign with a winning message, a call to action for voters to spur commerce, economic development, and job creation during tough times. On November 2, 2010, catalyzed by a coherent message and a solid Get Out The Vote strategy, both amendments passed overwhelmingly at the ballot box, setting the stage for sustained growth and for Arkansas’ economic engine to thrive and succeed.